Welcome to the Alaska Achiever’s May Blog Hop! 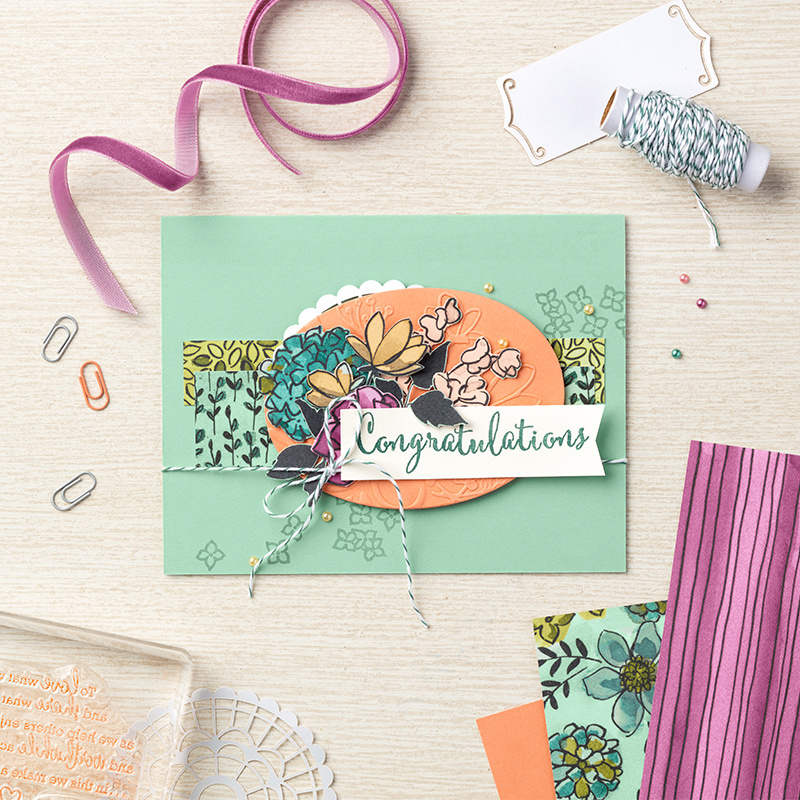 Everyone participating in this hop has earned the Stampin’ Up! Incentive Trip Alaska Cruise!! I think we’re all getting pretty excited about it because it’s just 2 months away! I’ve been reading Alaska books, bought a rain coat, signed up for a couple of excursions (fishing charter & train in Skagway). Can’t wait!! We’re focusing on the new Share What You Love Suite today. Stampin’ Up! has released this for sale a month early- so you can get your hands on it now, before the new annual catalog goes live next month. Aren’t those papers just amazing?!! What a fun way to brighten up your desk! Place an order on my on-line store this month & I’ll send you a FREE PDF FILE showing you how to make your own LEGAL PAD COVER WITH PEN. And if your order is $50 or more, I’ll include a package of leaves trinkets as a Thank You! I’ll be having a class where we’ll be making this Legal Pad Cover with Pen and the Post-It Note cover. Class is Monday, May 28th (Memorial Day) at 10am at my house in Haiku, Maui. Hope you can find the time to attend! CLICK HERE TO SEE ALL MY CLASSES/EVENTS! Now grab a cup of coffee & browse through the rest of the blog hop! I love that you’ve brought out the golden tones of this gorgeous paper! Beautiful cards….thankyou for sharing them with us! I so love co-ordinating sets… You’ve inspired me!